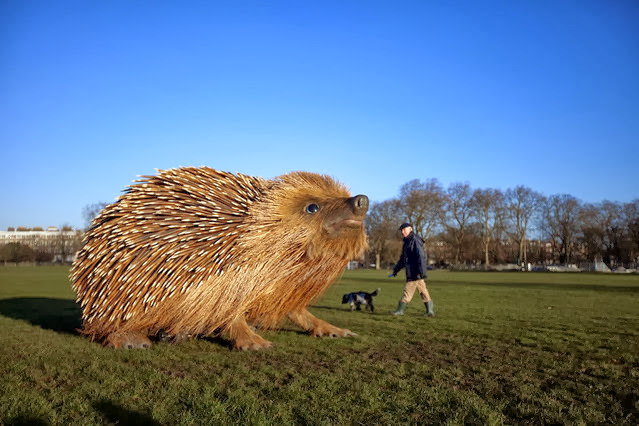 A giant sculpture of a hedgehog has been unveiled on Clapham Common after a survey found that a quarter of people in the UK have never seen the animal in the wild. 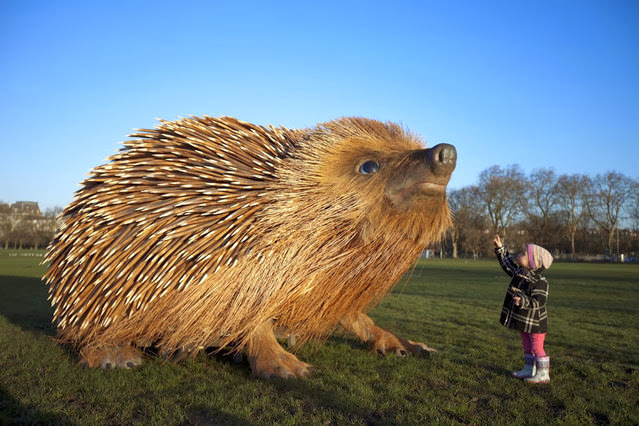 The 12 foot long, eight foot wide, seven feet tall structure took a team of artists two months to build, and it has been keeping hundreds of visitors to the South London park entertained since being unveiled last week. 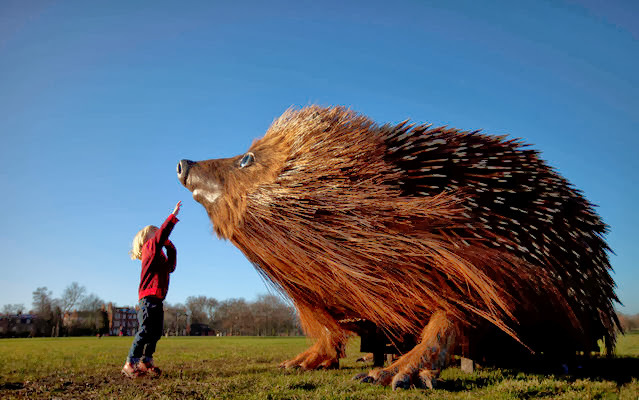 The sculpture is mainly made from 2,000 soft wood spikes that resemble a hedgehog’s spines, and a mixture of willow and coconut fiber that takes on the appearance of fur. 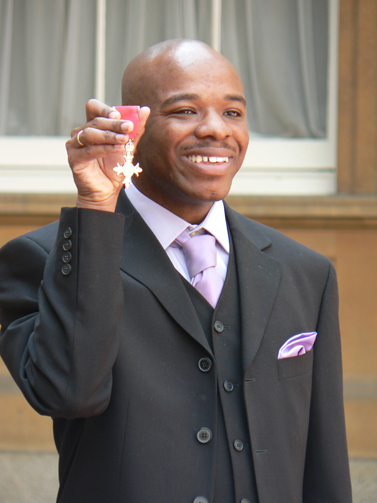 Stephen Wiltshire MBE, Hon.FSAI (born 24 April 1974) is a British architectural artist who has been diagnosed with autism. He is known for his ability to draw from memory a landscape after seeing it just once. 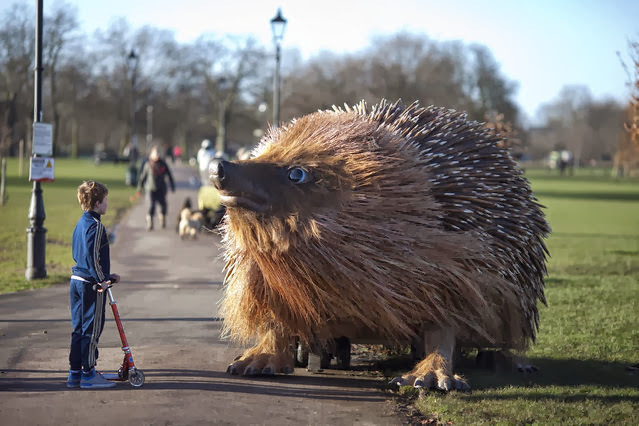 His work has gained worldwide popularity. 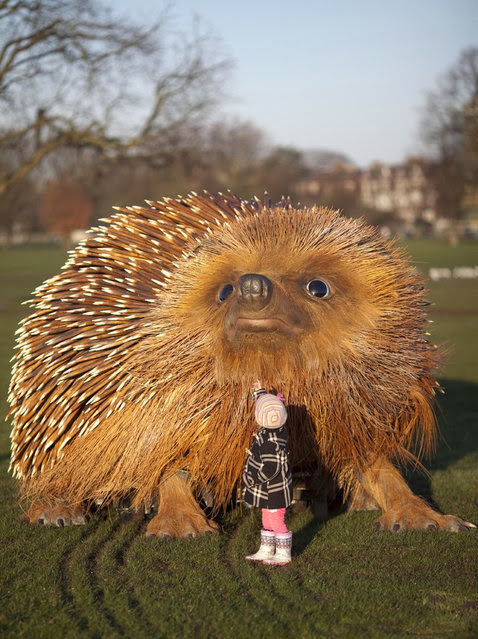 Wiltshire can look at a subject once and then draw an accurate and detailed picture of it. He frequently draws entire cities from memory, based on double, brief helicopter rides. For example, he produced a detailed drawing of four square miles of London after a single helicopter ride above that city. His nineteen-foot-long drawing of 305 square miles of New York City is based on a single twenty-minute helicopter ride. He also draws fictional scenes, for example,St. Paul’s Cathedral surrounded by flames. 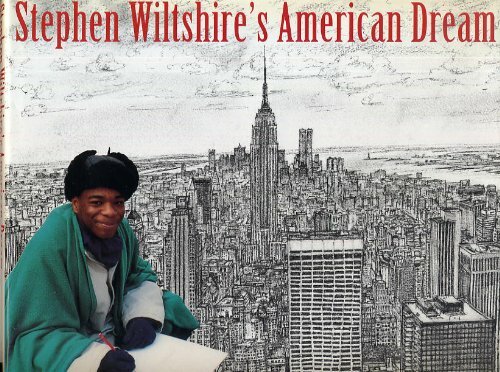 Wiltshire’s early books include Drawings (1987), Cities (1989), Floating Cities (1991), and Stephen Wiltshire’s American Dream (1993). 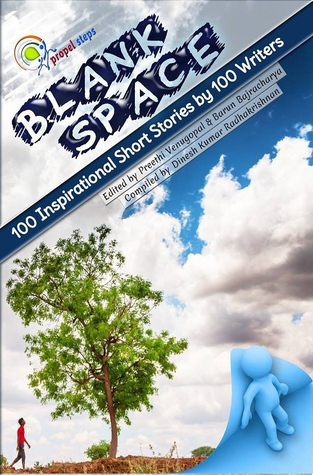 His third book, Floating Cities (Michael Joseph, 1991), was number one on the Sunday Times bestseller list. In May 2005 Stephen produced his longest ever panoramic memory drawing of Tokyo on a 32.8-foot-long (10.0 m) canvas within seven days following a helicopter ride over the city. Since then he has drawn Rome, Hong Kong,Frankfurt, Madrid, Dubai, Jerusalem and London on giant canvasses. When Wiltshire took the helicopter ride over Rome, he drew it in such great detail that he drew the exact number of columns in the Pantheon. In October 2009 Stephen completed the last work in the series of panoramas, an 18-foot (5.5 m) memory drawing of his “spiritual home”, New York City. Following a 20-minute helicopter ride over the city he sketched the view ofNew Jersey, Manhattan, the Financial District, Ellis Island, the Statue of Liberty and Brooklyn over five days at thePratt Institute college of art and design in New York City. In 2010, he made a series of drawings of Sydney, and visited Bermuda National Gallery where the sale of his drawing of Hamilton broke auction records. In June 2010, Christie’s auctioned off an oil painting of his “Times Square at Night”. Wiltshire started a tour of China in September 2010, with a first project taking him to Shanghai. A 2011 project in New York City involved Wiltshire’s creation of a 250-foot (76 m) long panoramic memory drawing of New York which is now displayed on a giant billboard at JFK Airport. 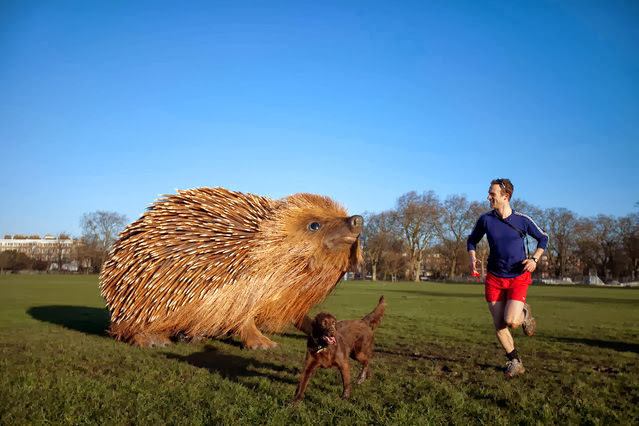 It is a part of a global advertising campaign for the Swiss bank UBS that carries the theme “We will not rest”, The New York Times reported. Wiltshire’s work has been the subject of many TV documentaries. Renowned neurologist Oliver Sacks writes about him in the chapter “Prodigies” in his bookAn Anthropologist on Mars. In 2006, Wiltshire was appointed a Member of the Order of the British Empire (MBE) for services to art. In September 2006 Stephen opened his permanent gallery in the Royal Opera Arcade, Pall Mall, London. On 15 February 2008, ABC News named him Person of the Week. In his first intimate interview with The Independent in 2009 he revealed his dreams, aspirations, idols and biggest regrets. In July 2009 he acted as ambassador of the Children’s Art Day in the United Kingdom. In 2011, Stephen Wiltshire was made an honorary Fellow of the Society of Architectural Illustration (SAI). Listening intently to his ipod throughout the artistic process – because music helps him – London-born Stephen uses only graphic pens as he commits his photographic memory to the high-grade paper. On his third visit to New York, this is Stephen’s first panorama of the world’s most iconic cityscape. 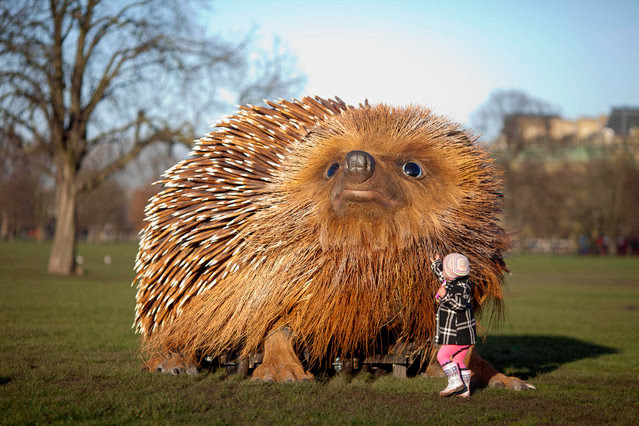 ‘Stephen feels this is his spiritual home,’ said Iliana. ‘There are many similarities between his home, London, and New York that he can relate to. ‘The only difference is that everything is on a bigger scale and with taller, more modern buildings. Diagnosed with autistism at an early age, Stephen’s talent for drawing emerged as a way of expressing himself. Using his drawing’s to help him learn and encouraged by his family, Stephen created a series of 26 coded pictures to help him speak, all of which corresponded to a letter in the alphabet. Going through up to 12 pens during his sketches which can take a week to finish, Stephen also draws heavily on music which he carries everywhere. ‘He always listens to music while he works,’ said Iliana. Courtesy : Wikipedia, Daily Mail UK and Google.